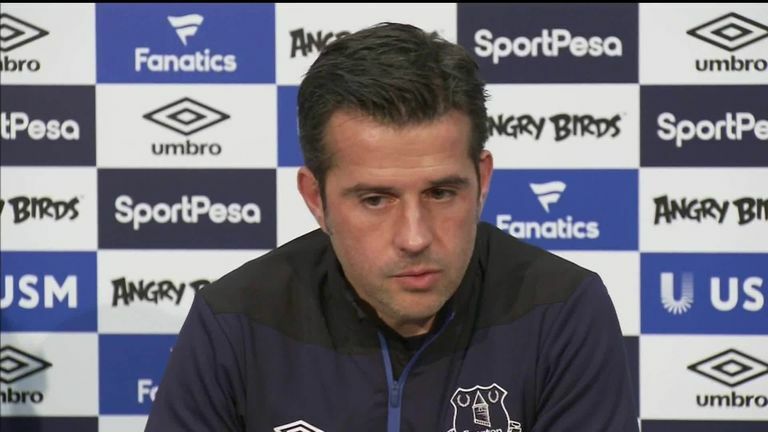 Marco Silva says there will be no repeat of Everton's two-year academy transfer ban, after they were found guilty of breaching Premier League recruitment rules. Marco Silva says Everton will not allow a repeat of their academy transfer ban but insists it will not have a day-to-day impact. The club were handed a two-year academy transfer ban after being found guilty of breaking Premier League rules. The Premier League said it had received evidence alleging that "Everton Academy staff offered inducements to a player and his family to encourage the player to register with the club", with the club quick to admit to the allegations. "It is not a good thing. I think the club work with the Premier League and everything is solved now," Silva said. "Our CEO did hard work in this situation to solve everything. It will not happen in the future of our club. Because our way is different as a club." Everton launched an internal investigation which found similar misconduct had occurred in relation to six other academy players, with the club saying they were "extremely disappointed" with some of the practices they found. But Silva, who joined the club during the summer, is confident his role as Everton manager will not be impacted. "Now everything is finished, to be honest, it's not something that will affect us in our day here," he added. "Our focus is clear to improve day-by-day our team and prepare for the next match." Everton face unbeaten Chelsea in the Premier League on Sunday, live on Sky Sports Premier League, ahead of the international break.